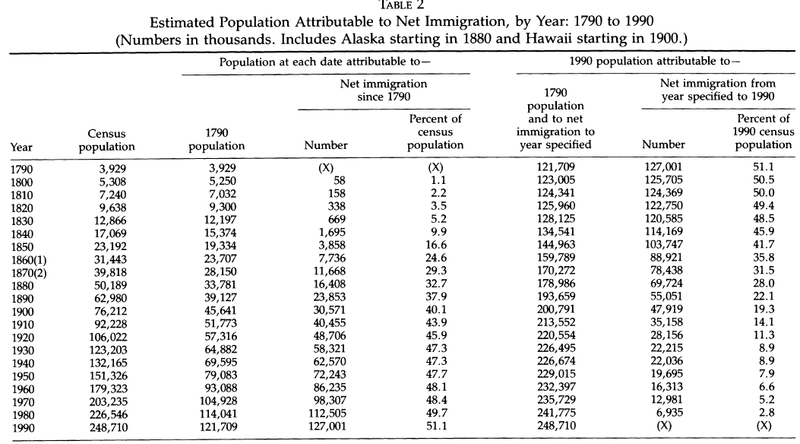 A few weeks ago I referenced Campbell Gibson's paper, The Contribution of Immigration to the Growth and Ethnic Diversity of the American Population, which estimated that ~1990 50% of the population of the United States could be attributed to those enumerated in the Census of 1790. In other words, the first generation of white settlers who were citizens of an independent republic, and the free and enslaved blacks. More specifically, 61.4% 69.2% were British & Irish (mostly English), 11.6% of continental origin (2/3 German) and 19.3% were black. In Gibson's analysis he does take into account mixing. He notes that the probability of a given "Old Stock" American having only American ancestors ~1800 is very low (the inverse situation, where a "white ethnic" has only immigrant grandparents or great-grandparents, is less unlikely simply because potential set is smaller, 4 or 8, as opposed to 64 or 128), so he takes admixture into account. From a genetic perspective though one can see how important being somewhere first can be. 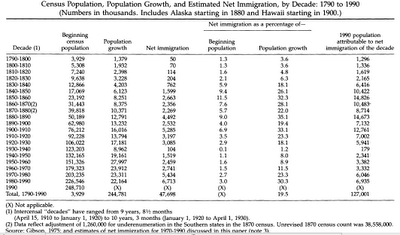 Below I've reproduced two tables from Gibson's paper. 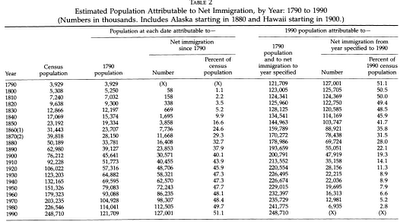 The second table shows the dilution over time of the founding population. 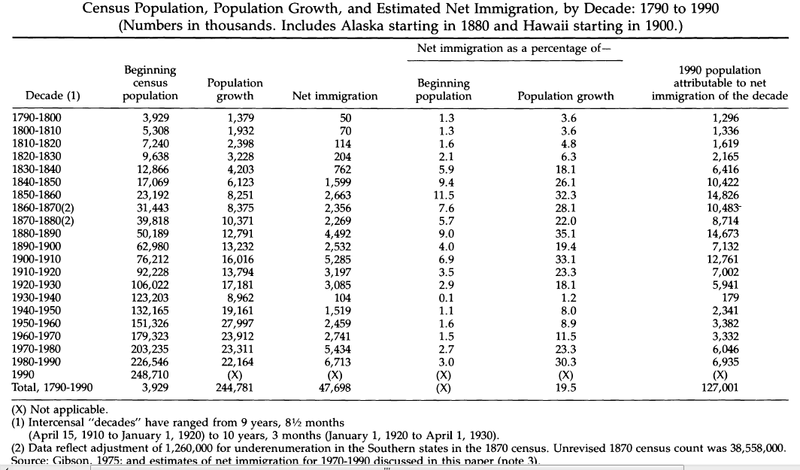 It is interesting that though we are a "nation of immigrants", in actually actuality only during the Reagan administration was the demographic preponderance of the descendants of enslaved Africans and white settlers of a domain of the British monarch surpassed by that of immigrants seeking opportunity in an American republic.